We might be well known for being home to the world’s only nocturnal and flightless parrot (especially after an incident a few years ago involving Stephen Fry), but few people probably know that we can also claim the world’s most ancient alpine songbird–the pīwauwau, or rock wren. Rock wren are part of the family Acanthisittidae (the New Zealand wrens) which, 200 years ago included at least seven species, all endemic to New Zealand and all either flightless or poor flyers. They are part of the order Passeriformes–the songbirds–but our little native wrens are a truly ancient lineage and have no close living relatives. Unfortunately, only two of these species are still around today. Introduced predators likely played a large part in the extinctions of the other five (or more). Only the rock wren and the rifleman remain and both of them are in trouble. Once found throughout the country rock wren are now confined to the alpine and sub-alpine region of the Southern Alps and within Kahurangi National Park. Unlike some of their extinct cousins, these alpine birds can fly, although not well–they prefer to bob and hop along the boulders and rocks of the mountaintops. Their Māori names include pīwauwau, meaning “little complaining bird,” likely because of their high pitched, repetitive tweet. Despite being a unique species and one of the last of their kind, we still know very little about rock wren. This is due to a number of reasons–they’re tiny (14-20g), naturally rare, and occupy hard-to-reach, high-altitude places. In these situations, even basic information, such as breeding cycles and threats, can be difficult to obtain. We know that they’re New Zealand’s only true alpine bird, but how they manage to survive the harsh climatic conditions year-round is still a mystery. And, we know that their population is fragmented but their population size is still hard to estimate. Over the last five years the breeding success (and failures) of rock wren have been monitored by a group of alpine rangers determined to find out more about these tiny birds. 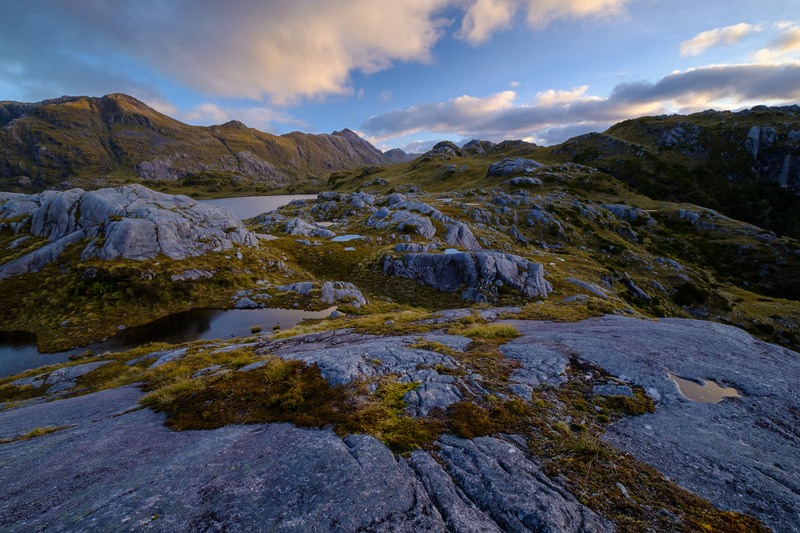 Between 2012 and 2017, the rangers monitored rock wren breeding success in three areas in Southern New Zealand–Haast Range (in South Westland), Homer-Gertrude Cirque (near Milford Sound) and Lake Roe (in Southern Fiordland). Between clambering along rock cliffs, exploring lake basins and braving torrential rain, they assessed the impact of predator trapping using a ‘before-after-control-impact’ (BACI) design. Lake Roe was the control site–the nests were monitored but no treatment (i.e. no predator trapping) was used. The other two sites were split–Haast Range had two seasons without treatment and two seasons with treatment, whereas Homer-Gertrude-Cirque had one season without treatment and four seasons with treatment. Finding the nest of this tiny bird might seem difficult but the rangers have discovered a trick. Rock wren build nests that are almost completely enclosed, save for a small entrance hole. They insulate and line their nest with feathers, ensuring that even when it’s freezing outside the inside of the nest remains snug. The rangers keep a small bag of feathers handy so that when they spot a rock wren they can send a feather its way. The rock wren will often take the feather back to the nest, leading the rangers right to it. The rangers then watched the nest throughout the breeding season. They observed the rock wren laying the eggs, incubating those eggs, and feeding the chicks. In some cases, they got to watch the chicks fledge. However, that was not always the case. Of the 140 nests found in this five-year period, 46% were successful, meaning that at least one chick was produced. 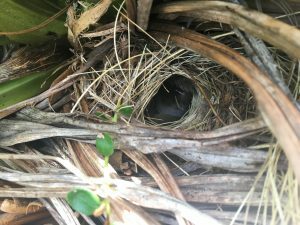 The primary reason that the monitored nests failed was due to predator by stoats (47%) and house mice (11%), as well as the occasional rat and possum. The results form quite a clear picture. When sites were left untreated (i.e. no predator control), nest survival rate was 2-28%. Whereas when sites were treated that nest survival rate increased to 47-67%, and no stoat predation was observed in areas with established predator control. Both the rate of egg hatching and fledgling improved with predator control. 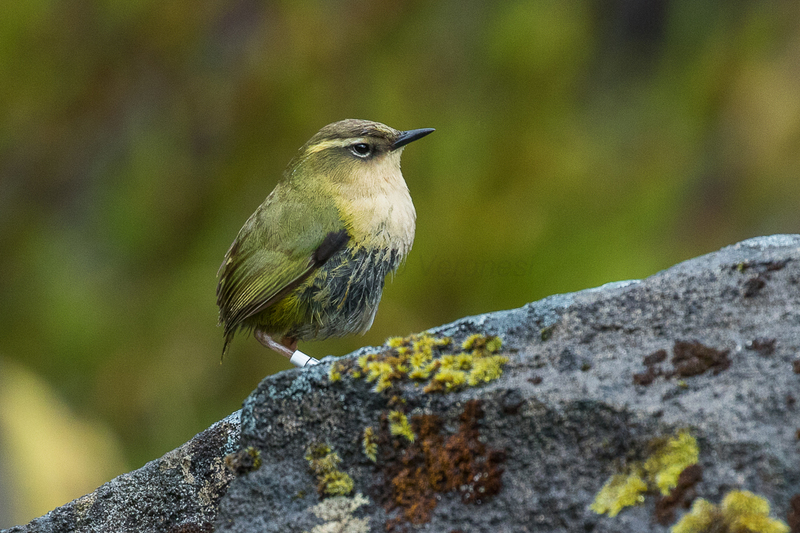 Until recently it was thought that the extreme climatic conditions of the alpine zone deterred introduced mammals from reaching the nesting sites of alpine species and, as such, rock wren were believed to be safe from predation. Unfortunately, this study has shown that this is far from the case. What’s more, as the effects of climate change intensifies, the range of introduced mammals is likely to expand further. It appears that, like many of our native fauna, the only way to conserve rock wren is with predator control and an extensive trapping network will be difficult to maintain in hard to reach areas, such as the alpine zone of Fiordland. For more on the monitoring programme check out this paper and remember to vote rock wren at www.birdoftheyear.org.nz. Featured image: Rock wren, Francesco Veronesi CC BY-SA 2.0.